Xbox Music. It's now easier to select, download, and pin music. Plus, music fans will see more accurate metadata (such as song and album information) and many other performance improvements. It's that "other improvements" category that we're interested in, because while the other improvements do sound pretty nice, we had heard that GDR2 was going to bring CalDAV and CardDAV support for Gmail users, which is one feature that we would really like to see as soon as possible. 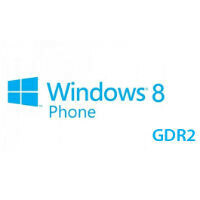 Another rumor was that GDR2 would start the habit of Microsoft updates being bundled with OEM updates. We didn't really expect that to be in the changelog though. Awesome update. Is this 8.1 or does that come later? Just imagine if that lumia 1020 came out with: Qualcomm Snapdragon 600 or 800 And maybe a 1080p display If they only waited for that GDR update,i would have switched to windows phone without a hesitation.others specs are excellent except that mid range SoC. so the lumia 1020 comes with this update?